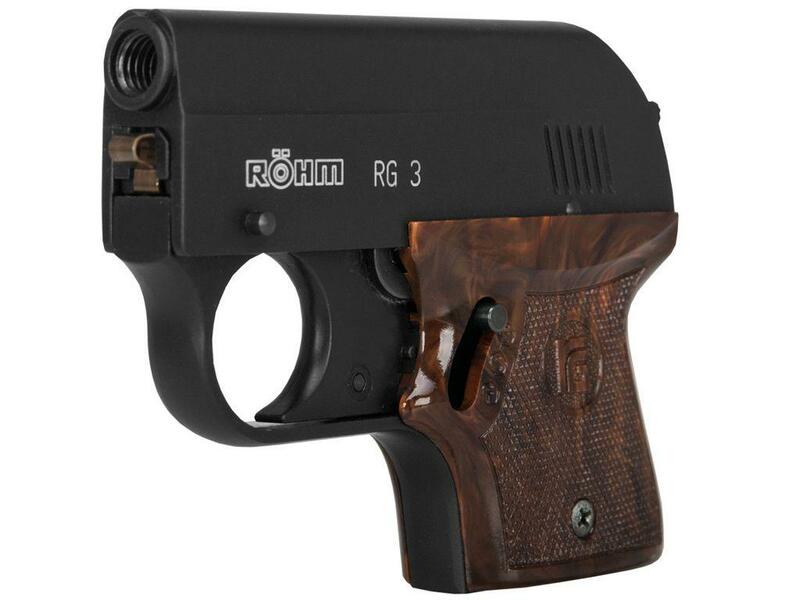 ROHM RG-3 .22 Blank Pistol | Replicaairguns.ca | New Website! 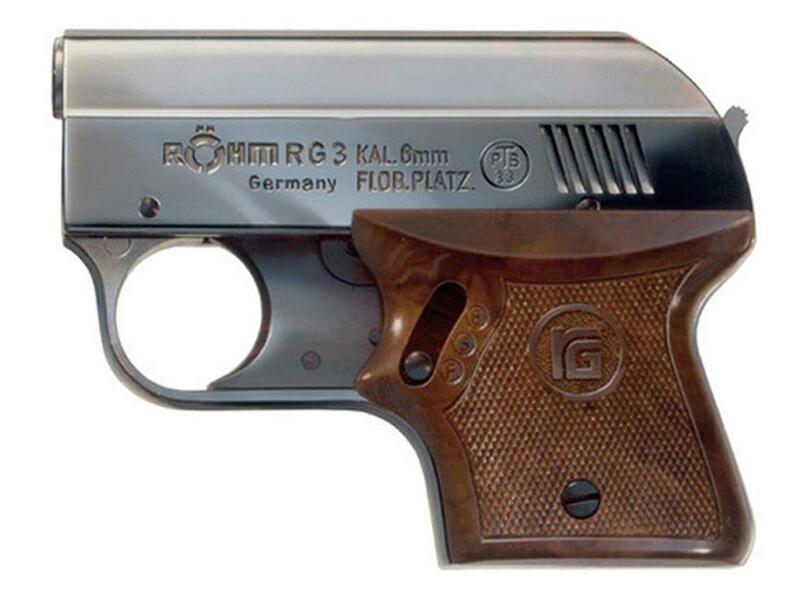 Comments: ROHM continues to produce high quality blank pistols with the RG 3. 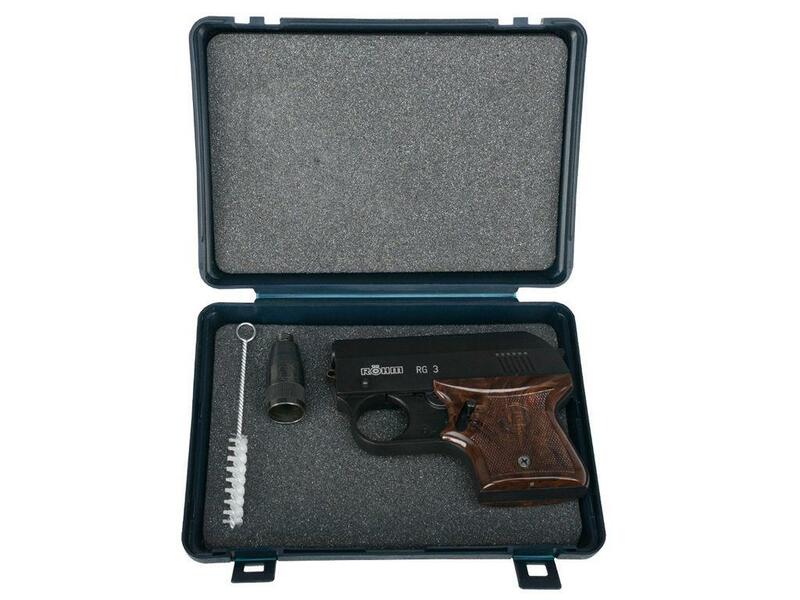 While not based off any particular gun, this pistol has a realistic metal body and a textured plastic grip. The heavy gun utilizes a double trigger action to promote a safe firing experience. Includes a flare adaptor and cleaning rod. Rohm RG3: Best bear banger on the market? I bought the matte black RG3 and a box of 15mm air banger cartridges for wildlife control while hiking, fishing and guiding. The quality of this little starter pistol is excellent and much sturdier than the average pen-style flare launcher. The RG3 has a long, double-action trigger pull that takes some getting used to, but the action is very smooth and with such a short barrel, it makes 6mm blanks bark like a .22 long rifle. The screw-in flare cup launches 15mm rockets effortlessly. The 15mm air bangers launch 80-100 feet, leaving a trail of white smoke and an ear-ringing bang that should be more than enough to deter eastern black bears and flush geese and ducks. In an emergency, the semi-automatic RG3 could also be used for signalling. 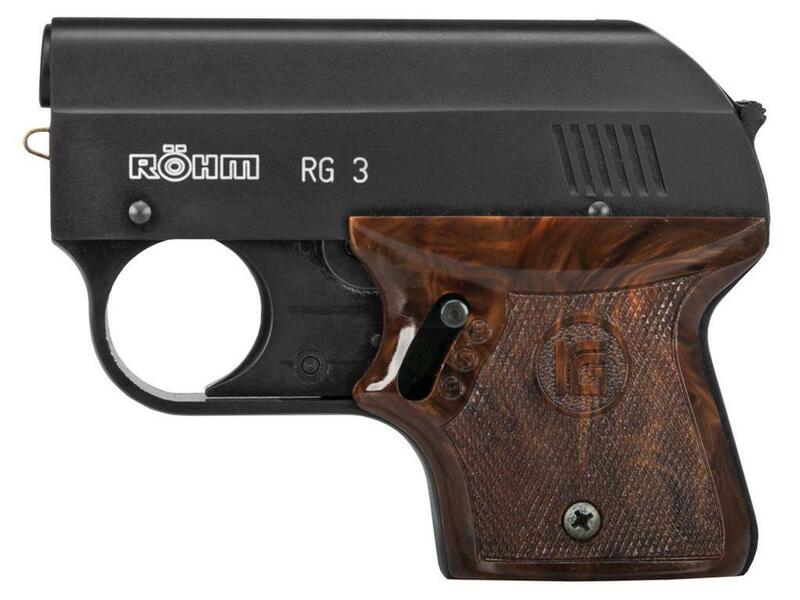 http://www.ReplicaAirguns.com - ROHM (RÖHM) RG-300 and RG 3 .22 Caliber Blank Pistol Table Top Review. In this video review, I take a look at the ROHM RG-300 and the ROHM RG 3 .22 Crimped blank pistols made by ROHM / Umarex in Germany. I talk about many of the features and benefits of these very well made compact blank shooters and show you around the guns. 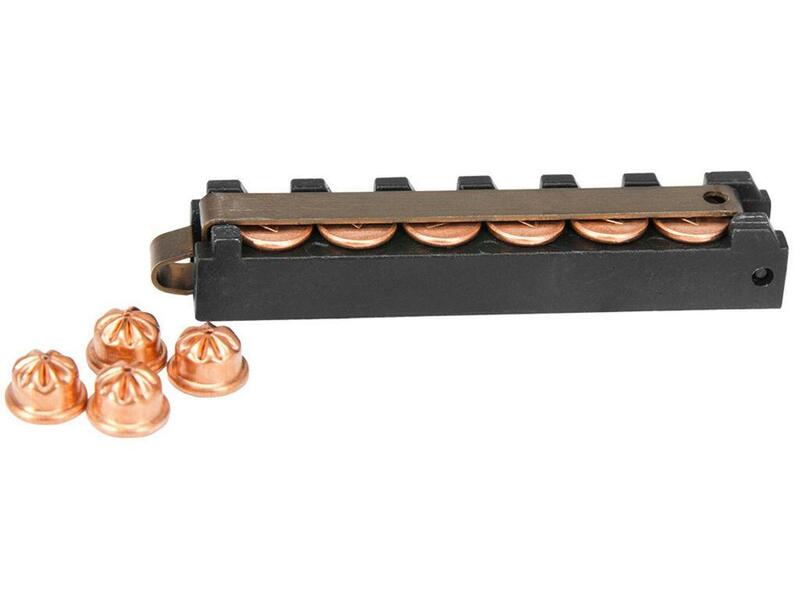 One nice point with the .22 caliber blank shooters is the lower cost to shoot them, .22 caliber crimped blanks work out to be much cheaper than the 9mm P.A.K. or .380 crimped blanks. Sure they are a bit quieter but louder than you may think, especially when coming out of a short barrel. Another selling point is how compact both of these guns really are which makes them easy to pack around if you want to take one with you on a hike or outing as a deterrent for any wildlife that may get a bit too close to you. The RG-300 and RG 3 are two very nice additions to the ROHM blank guns we sell in the Canada Replica Airguns Store. 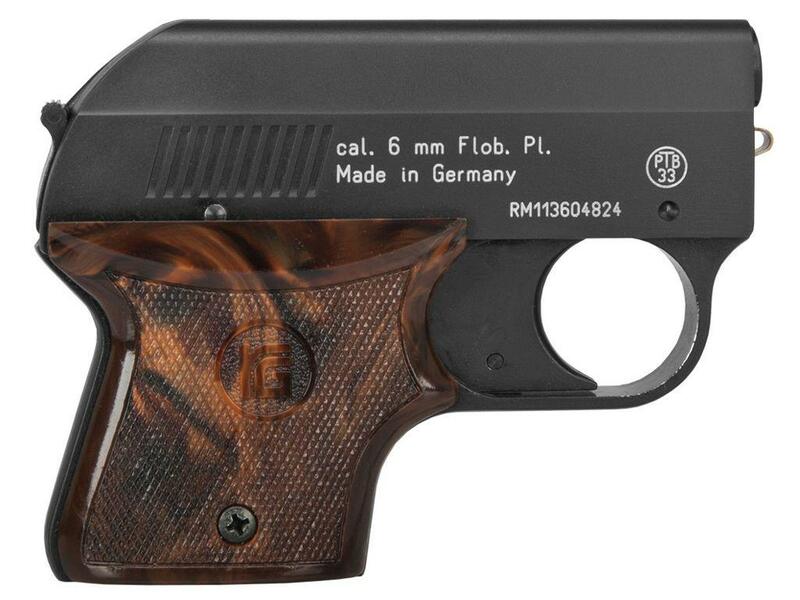 http://www.ReplicaAirguns.com - ROHM (RÖHM) RG-300 and RG 3 .22 Caliber Blank Pistol Field Test Review. In this video review, I take a look at the ROHM RG-300 and the ROHM RG 3 .22 Crimped blank pistols made by ROHM / Umarex in Germany. I take a few shots with each blank pistol and record the video results using both HD and slow motion cameras.